Our extensive experience in Land Planning and Site Design allows us to provide progressive and economic solutions to a wide range of residential, commerical and municipal projects. Our staff utilizes state of the are drafting and Civil Engineering design software to produce thorough construction drawings and related documents allowing projects to proceed in a coordinated and efficient manner. Precision Engineering Corporation has a full staff dedicated to geotechnical engineering and construction materials testing. 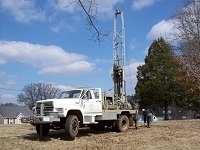 We have the equipment, personnel and experience to provide full service geotechnical and materials testing services on projects of all sizes. Our Oxford, Mississippi office serves as the primary office for coordination of these services. 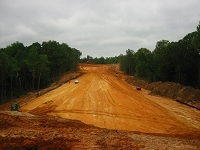 Please feel free to give our geotechnical engineer a call to discuss your specific project needs. Precision Engineering Corporation utilizes our experienced technicians to perform field inspections and materials test to verify compliance with project specifications. Our technicians have experience on jobs ranging from residential construction to stadium expansions. 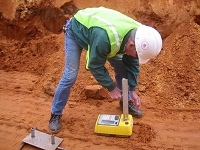 We have the capabilities to perform the standard range of field test for concrete and soils as well as specialized concrete tests. Our experienced inspectors provide a wide range of services on a project, from public relations with adjacent property owners to tracking material quantities. Precision Engineering believes that proper inspection can significantly increase the overall quality and performance of a job. 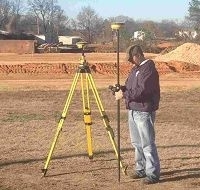 Our professional experience in the area of Land Surveying and Mapping include rural surveys, commercial/residential surveys, topographic surveys, county parcel maps, ALTA surveys and municipal city boundary surveys. 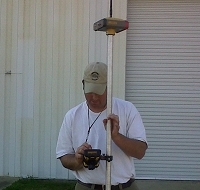 Equipped with state of the art surveying equipment, our experienced survey crews are able to efficiently fulfill your construction staking needs. Our crews have experience in roadways, bridges, commercial and residential structures, embankments, mass grading projects and landfills. Contact our office to schedule one of our crews for your next job. While serving as a county engineer for nearly 50 years our employees have gained a wide range of experience in roadway and bridge design. In addition to the experience at the county level, we have experience in designing roadways for residential and commercial developments. 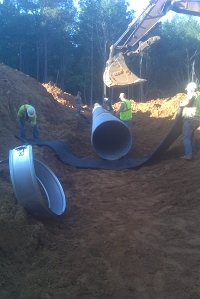 Our firm has designed multiple water distribution and sewer collection systems for clients ranging from rural systems, municipalities and commercial/residential developments. We are constantly following new trends in utility system design while simultaneously implementing tried and true methods for the most effective solution to each unique project. 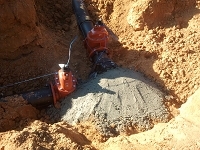 Our services include designs for subdivision systems to rural and municipal water systems. We have extensive experience in helping clients upgrade their current system to better support existing customers or support additional customers. With ever-increasing restrictions on construction related activities, it is critical to implement Best Management Practices to avoid costly delays during construction. Our intimate involvement with hundreds of construction projects has provided valuable experience and allows us to design and oversee projects that minimally impact the surrounding environment.